Our illustrated How-To articles are among the best you'll find anywhere. We have step-by-step guidance on things as as simple as how to change your engine oil to complex tasks such as how to replace a failed water pump. We give you far more detailed instructions than the Honda service manuals, letting even beginning home mechanics tackle unfamiliar repairs and maintenance with confidence. Have problems or questions? No problem, just ask online, there are an army of helpful people just waiting to get you successfully through your repair or maintenance project. And, of course, just like everything else at GoldwingDocs....it's all free! 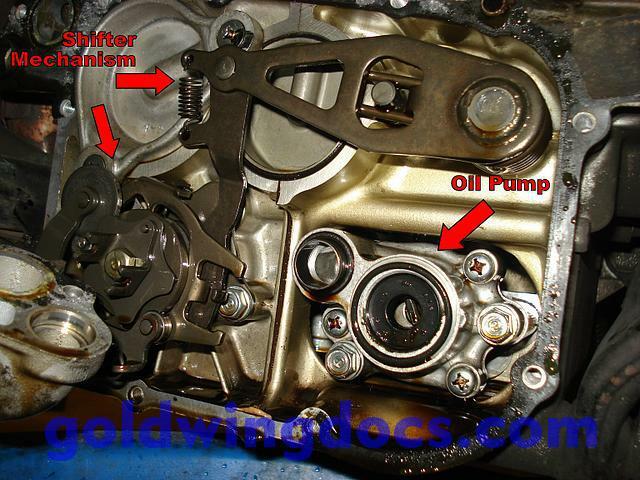 There are separate How-To sections for each type of Goldwing. Keep in mind that many of the procedures are at least partly applicable to all models. So if you don't see the procedure you're looking for in your model's section, check the others. Want to contribute one yourself? We'd love to have it! How to free up those tiny pistons on the float valves. Where have some of the How-To articles gone?